Pop your head above pier level, and you’ll see a perfect picture postcard of a Victorian (Queen Victoria herself visited in 1900) town extending uphill. And it still has that edge of class. Broad, seaside pavilions, three-storey seafront houses, and a pier festooned with tenderly maintained Victorian street lights. Sea air whets the appetite and hungry bellies could do a lot worse than Dún Laoghaire. If you see Dublin Bay prawns on the menu, snap them up. Restaurants dot the seafront and a short walk away in the village Glasthule, the tiny restaurant of Caviston's is a definite favourite. In Dún Laoghaire itself, head up into Patrick Street in the heart of the town, and into a restaurant called Alexis. Trust us, you won’t regret it. 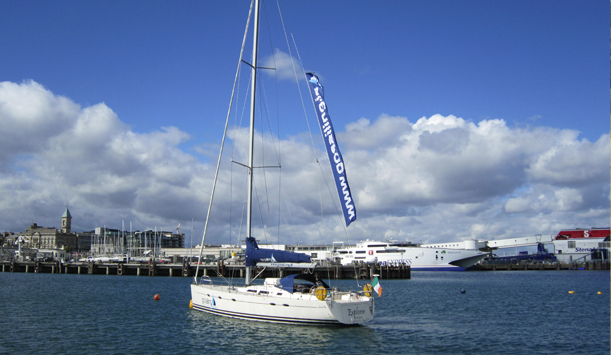 Aaron O’Grady, director of Go Sailing, knows Dún Laoghaire intimately. He has his own opinions on what makes Dún Laoghaire a special port of call. Another bonus with Dún Laoghaire, according to Aaron, is that its location caters for beginners as well as the more savvy sailor. “We’re lucky that the bay is sheltered from the prevailing wind from the southwest, giving us relatively flat water but no shortage of wind. t’s not the facilities or the craic (which, according to Aaron, is in full supply in Dún Laoghaire) that Aaron loves most about sailing here, though. It’s the wonderfully wild locals. “I like the wildlife. 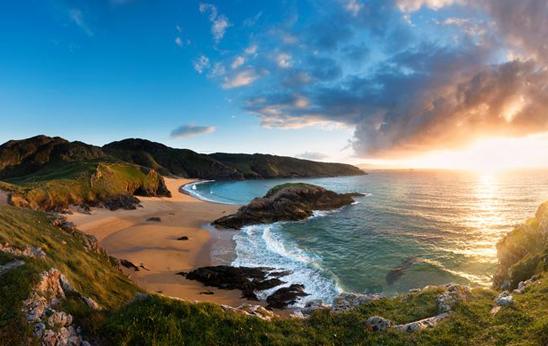 There are very few places around that you can get close to dolphins, porpoises and seals within 20 minutes of a city centre. Magic is putting it mildly. 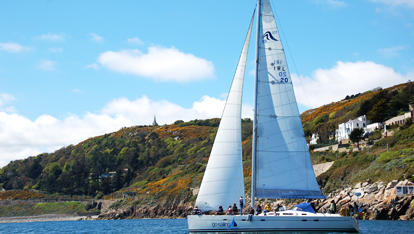 Don't forget to drop your anchor with us in Ballycastle, Cobh and Strangford Lough, too.